Sponsoring me will enable me to purchase the best possible equipment to enable me to continue racing at a high standard and progress further up the racing ladder. Paying monthly amounts is now easy as I have a standing mandate form attached. In return for your help I can promote your company in the following ways. Advertising on my race suit. Advertising on my bike covers. Advertising on my sponsor board. Website Advertising, including a link to your site, logo displayed on every page of the website in a rolling banner. Press coverage will include the names of all sponsors. Your company will be seen locally and nationwide as I will be traveling around different tracks. Recommending your company and its products to others. Larger sponsors can advertise on my van too! One thing to remember is that you will get tax relief on any amount of sponsorship you give me, there is no limit. This means the amount given will go against your profits for the year, so you wont have to pay so much tax at the end of the year. All this taken into account it means you are getting more for your money advertising with CJ Racing! Below are diagrams of my race suit and bike covers. This shows you how much space and the positioning of where your company logo could go. You can advertise in just position or in a variety of places. You can choose where you want your advert to go so you know what you are getting for your money. 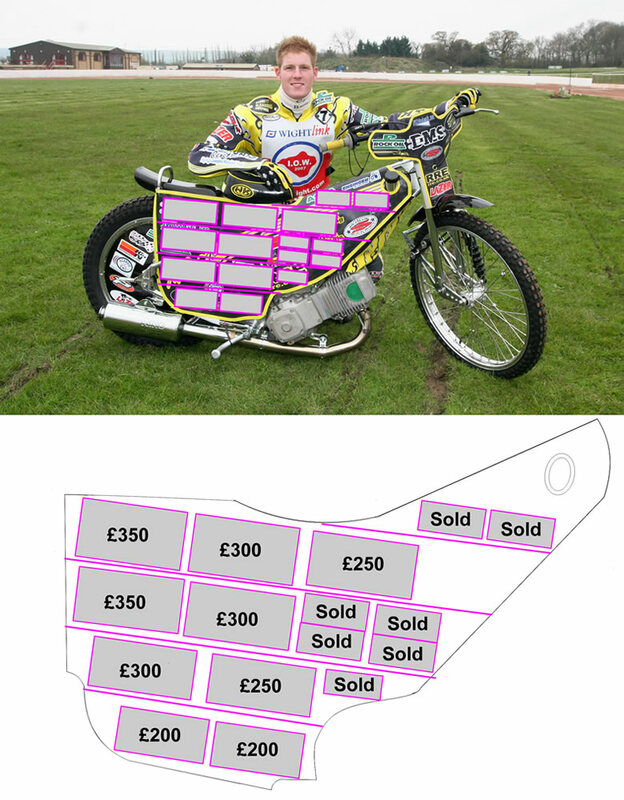 If you are considering sponsoring Chris with products to a certain value then you can find an advertising space for that amount and decide where you would like to be on the CJ Racing race gear. 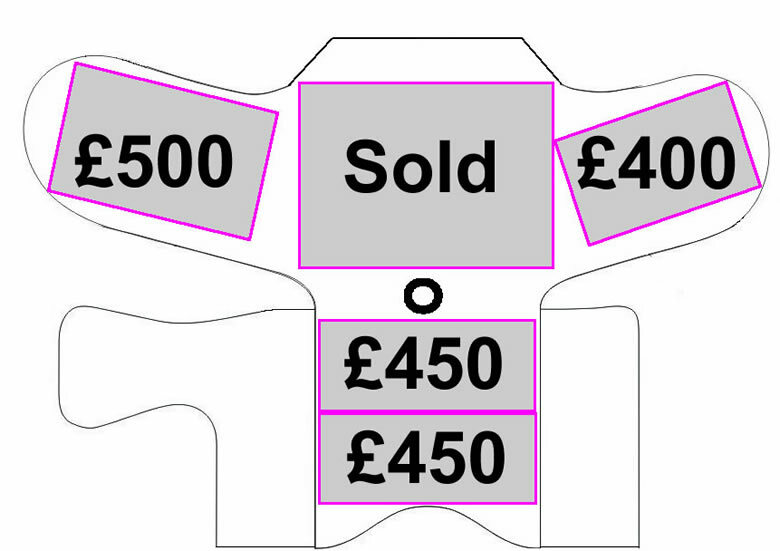 All prices on the diagrams are for one seasons advertising. Sponsors will be contacted after each season about the next race seasons sponsorship advertising.